According to Statistics Canada, between 20-30% of Canadian seniors fall each year. Fifty percent of these falls occur at home, and 67% of senior falls result in hospitalization. De-cluttering your home is something you can do to avoid becoming a part of this statistic. Utilize shelving and drawer space to reduce clutter in hallways, walkways and on your floors. Tape down area rugs to prevent tripping, and make sure curtains are hemmed so they don’t touch the floor. Stick-on hooks are easy to install on bedroom walls, and you can use them to make sure that clothes, coats and robes don’t end up on the floor. Clearing out your home may seem overwhelming, but the hardest part is getting started. As you go through each room in your home, create three piles: “keep”, “give”, and “throw-away”. Remember to be selective and only keep the things you really use or treasure – if you haven’t used it once in the past 12 months, it probably doesn’t belong in your “keep” pile! When it comes to giving things away, think first about whether your family, neighbours or loved ones may get some use out of these items. If not, consider donating unwanted items to community groups and second hand stores. . Ask a loved one or caregiver to go with you to your community charity that accepts once-loved clothes, furniture, and tableware. Or, head to a consignment store or antique shop for an appraisal—it could be interesting to find out how much something is worth today! When you’re finished organizing, remember to be friendly to the planet and sort your “throw away” pile into recyclables and trash. Old photos can take up a lot of space. Sort all of your favourite shots into a photo album that you can keep handy on your bookshelf or nightstand, then ask a tech-savvy loved one to help you digitize the rest. They can use a scanner, or a digital camera to convert your old photo prints into digital files. These files can be stored securely on a small hard drive, which means you can keep memories safe and clear up some space on your shelves. 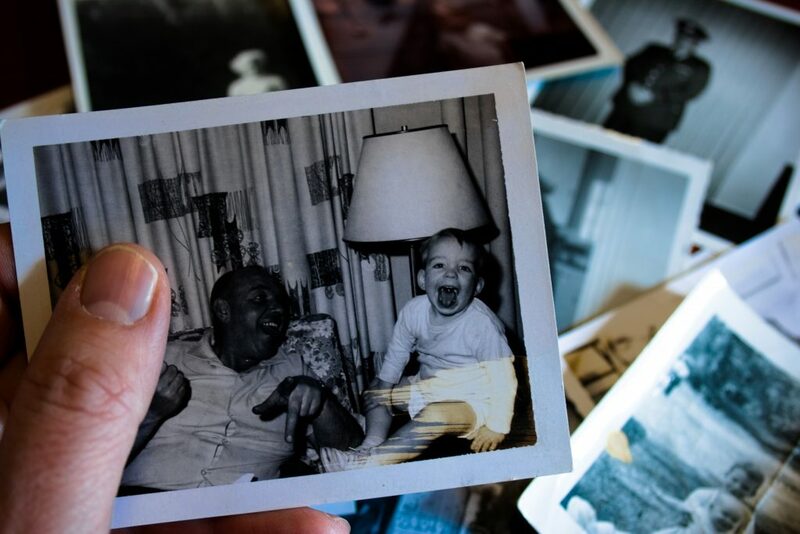 We all collect treasures over the years – these are things that hold sentimental value, and we don’t feel quite right about throwing them in the trash or donating them to the community. These sentimental items, like jewelry or souvenirs from trips, are perfect for gifting to your children or grandchildren. You can feel good about knowing that they will be enjoyed for many more years to come, and your loved one will love having something to remind them of you. “Upcycling” is a fun way to repurpose the clutter in your home into functional furniture, décor, or clothing! The internet is full of fun ideas for upcycling, and you’ll be amazed how simple it can be to give new life to some of your collected clutter! Make some functional colander planters to hang by your window. Put all those saved-up empty jars to use by creating some adorable mason jar lanterns. Or, get crafty with your grandkids when they visit over the holidays by making a beautiful bouquet of cardboard dandelions. Take some time this winter to breathe new life into your home, organize your treasured belongings, and purge unwanted clutter. Not only will you feel refreshed by a nice, organized home, but you and loved ones can rest easy knowing that your risk of falls has been greatly reduced. Your Bayshore caregiver can help with organizing, de-cluttering and other housekeeping tasks – give us a call at 1-877-289-3997 to learn more about getting a little extra help at home today.